We most often talk about curb appeal when talking about selling homes or preparing homes to sell. However, even if you never plan to put your house on the market, curb appeal affects what people think of your home every day. Your front yard and the façade of your house create the first impression guests have of your home. They also provide what might be the only insight your neighbors have regarding how your home looks inside. While most of us do not want to be concerned about what others think (or at least do not want to admit it), most of us want to convey a positive image to the outside world. We want our homes to be inviting and welcoming, to hint at our personal style, and to have an overall look that is appealing to our guests and neighbors. To help you make sure your home is conveying the message you want to send, here are 15 curb appeal tips that will help you enhance your home’s visual appeal. Clearing the clutter should always be the first step on any list of curb appeal tips. It clears the way for any other projects you might want to take on and is an easy, no-cost way to immediately increase your home’s visual appeal. If you were only going to do one thing to improve your front yard, this would be it. This, of course, includes putting away children’s toys and gardening tools, getting rid of old flowerpots, and removing any unnecessary clutter from your porch and walkways. It also includes taking a second look at things you might not consider clutter. For example, do your guests have to sidestep around your container garden to get to your front door? Or has your garden gnome collection grown a little more than expected over the years? If so, it might be time to rethink these collections and how they are affecting your home’s curb appeal. The next step in any plan to increase curb appeal is tidying up your existing landscaping. Pull weeds, shape your shrubs, deadhead flowerbeds, and prune any low-hanging branches – particularly if they are hanging over walkways. This, too, is a no-cost way to improve your yard as long as you already have rakes, pruning shears and other simple garden tools to help you get the job done. A well-manicured yard always looks more appealing, so make sure this is at the top of your list. Filling in sparse gravel or adding a fresh layer of wood chips is an easy, low-cost way to instantly increase your curb appeal. In fact, this one is so easy and inexpensive, that you could even do this the day you are expecting guests and immediately freshen your yard’s appearance before their arrival. 4. Improve, reduce or remove your natural grass lawn. This curb appeal tip will take more time and more money, but it is well worth it. It is difficult to keep natural grass lawns looking green and inviting, so now is a good time to consider reducing the size of your lawn or replacing it completely. 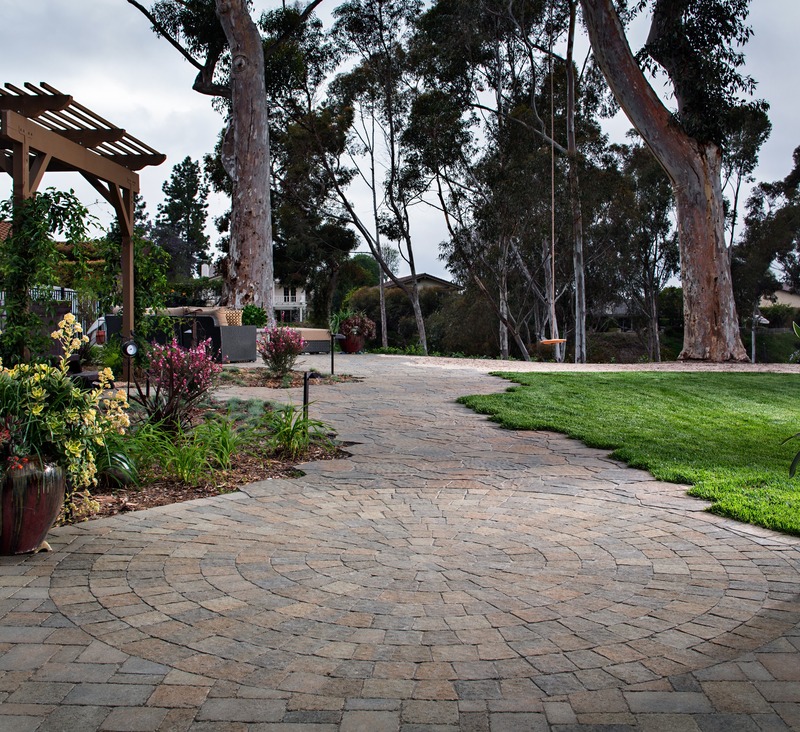 Lower-maintenance options, such as drought-tolerant plants or synthetic turf look great, while requiring less care and less water. So, if you are tired of constantly pulling weeds and reseeding brown spots, it might be time to consider replacing it with something that takes less effort and looks great. If you are not ready to let your natural grass lawn go, you can improve your curb appeal by replacing or reseeding patchy or brown areas, staying on top of weed removal, and making sure you keep it fertilized and aerated to keep it healthy and green. 5. Add color and texture to your landscaping. If your yard is looking a bit drab and could use a bit more color or texture, you can easily accomplish this by adding a few well-placed plants. Ask for recommendations at your local garden center to find plants that will thrive in your area and work with your current landscaping. 6. Hide your trash cans. If you store your trash, yard waste and recycling bins in your front yard or in a side yard that is visible from the street or parking area, this is definitely affecting your curb appeal. You do not want your guests or potential buyers to see your trash cans as soon as they arrive at your house. So, if this is the case, build or purchase an enclosure that will hide your waste receptacles while still keeping them in a convenient location. If there is not enough room or not enough money in your home improvement budget for an enclosure, you can also hide them with a privacy screen. 7. Make any necessary repairs. Aside from clutter or an unkempt yard, there is nothing that hurts your curb appeal quite as much as obviously needed repairs and deferred maintenance. Replace broken or bent window screens, fix dry rot on your eaves or fascia, repair and paint fences, and fix cracks in your driveway or walkways. 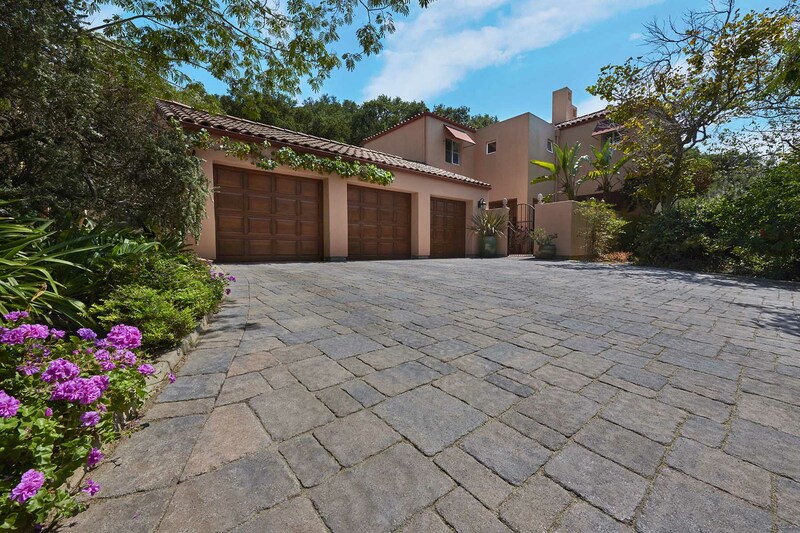 If your budget allows, you might also consider replacing cracked driveways or walkways with paving stones, which will significantly improve the look of your home. 8. Update or upgrade your mailbox and house numbers. You will see this one on any list of curb appeal tips, and for good reason. Think about this for a moment: What is the very first thing new guests will notice when they arrive at your house? In most cases, it is going to be your mailbox or your house numbers, because they are looking for your address to find your home. Therefore, any efforts to enhance your home’s visual appearance must include assessing your mailbox and house number situation. There are two purposes for this: One is to help guests find your home more easily, and the other is to make sure the first thing they notice is a proper representation of the rest of your home and property. 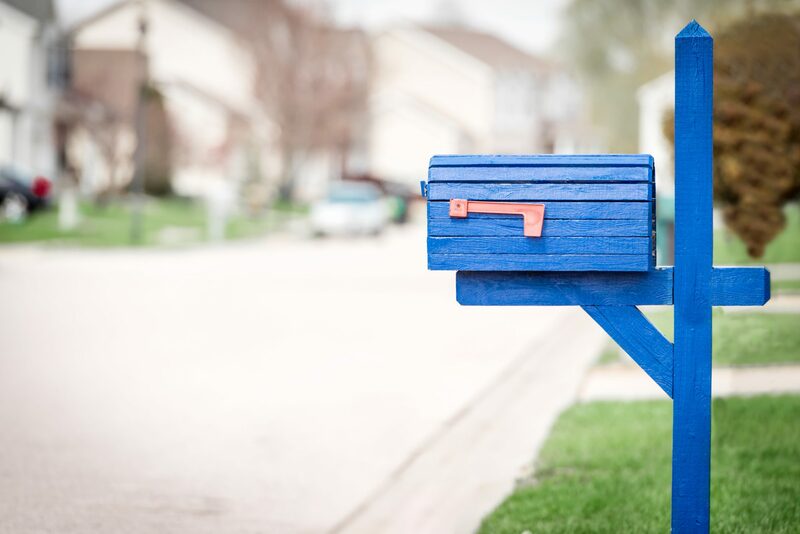 So, make sure that your house numbers – whether on your mailbox, curb, a post, or your house – are visible and easy to read. Cut back any bushes or trees that may be blocking them and, if they have seen better days, consider replacing them. The same goes for your mailbox. If it cannot be improved with a new coat of paint, it might be time to replace it. 9. Paint your front door. Your front door is a key component in your home’s character. This is where you welcome your guests, and where their first impression is formed of what they can expect to find inside. Color choice is paramount here. You need to decide what you want your main entrance to say about your home. You could choose sophisticated black, rustic wood, a welcoming blue, or an eye-catching orange. Whichever color you choose, a fresh coat of paint is going to make your front door more attractive and is a big step in enhancing curb appeal. 10. Repaint your home’s exterior or at least the trim. Repainting your home’s exterior is, obviously, going to significantly affect the overall look of your home. But, if your paint is in pretty good shape or your budget does not allow for a full paint job right now, you can spruce up your home’s façade by just repainting the trim. If you are somewhat handy, you may even be able to do this home improvement project on your own, which will help you save money while enhancing the visual appeal of your home. 11. Consider adding shutters or window boxes. Shutters and window boxes are not a good fit for every architectural style, but if the style of your home lends itself well to these cosmetic additions, this is an easy way to quickly increase curb appeal. Shutters and window boxes immediately add color and focal points that draw the eye. Plus, they can give your home a more rustic look, add a bit of whimsy to a bungalow, or complement the Old-World charm of a Mediterranean – depending on the style and color you choose. 12. Upgrade your landscape lighting. You might need just a few more lights here and there, or you might need an entirely new landscape lighting design, but upgrading your outdoor lighting is something you should consider. Well-positioned lights can accent interesting landscaping features, completely transform the look of your home after the sun goes down and provide your guests with well-defined pathways. Landscape lighting also increases the safety of your family and guests. 13. Create a seating area. Most of us do the majority of our outdoor living in our backyards but creating a space in your front yard can be inviting and welcoming for your guests. 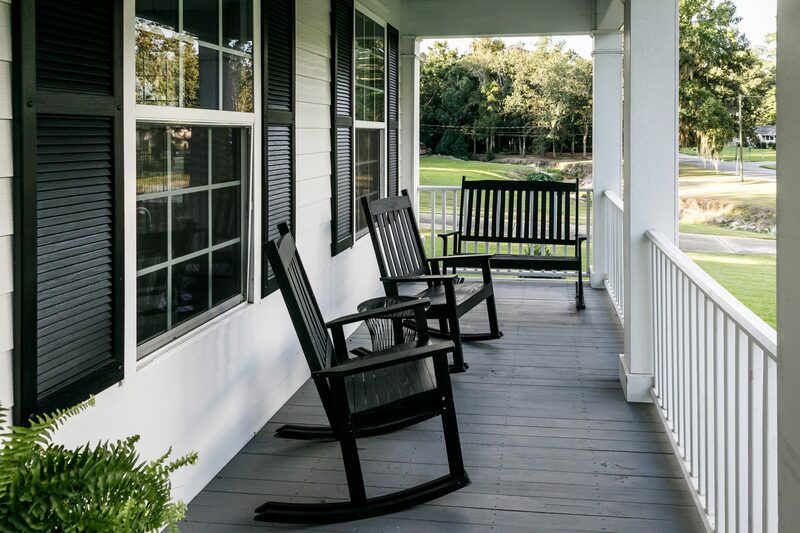 This could be as simple as a bench or bistro set on your porch, or it could be a complete set of patio furniture. If you have the space, you might also consider adding a colorful outdoor rug to make the space even more inviting. Depending on your budget, the size of your available space, the look you are going for, and how much time you intend to spend there, choose the outdoor seating that best suits your needs. 14. Update your porch light. This is one of those curb appeal tips that usually requires hiring a professional, but the difference it can make is well worth it. If you are not completely comfortable working with electrical components, you are better off hiring an electrician for this one. The good news is, swapping out an older porch light for an updated one should be an easy task for her or him, so the cost should not be too bad. Plus, if you are upgrading from older bulbs to LEDs, you will save money on your electricity bill to help make up for it. Choose a style that complements your home’s architecture for an instant increase in visual appeal. 15. Replace your garage door. This is another one that will cost a bit more and likely require hiring professionals. This may not be necessary if you have a relatively new door that is in good repair and functions properly. But if your garage door is sagging, buckling or otherwise showing its age, it might be time to replace it. If it is in decent shape, you may be able to improve its look with a coat of paint, which is a much more cost-effective way to update your garage door.